Event promotional materials (e.g. flyers, brochures, ads, e-cards, web event listings, press releases...etc). Assistance with creative content for marketing materials to best serve your audience. 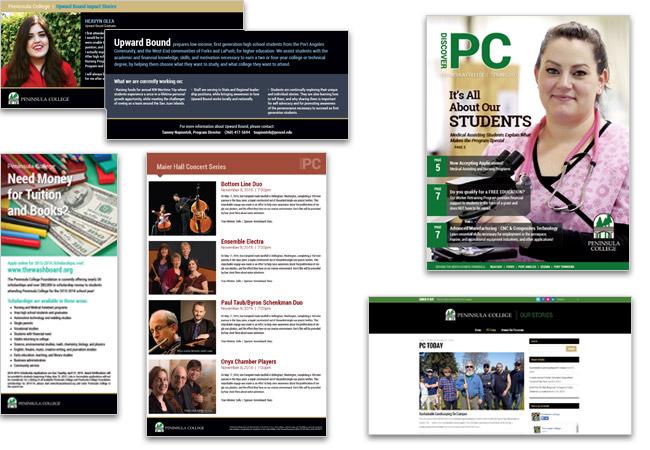 Creative graphic design and help with customized content for tri-fold brochures, booklets, folders, and other custom projects. Website content to enhance your program or services, including blog and social media advertisements. Anything else needed to promote your special projects! Have a publication request? Hop over to our Sharepoint site for the forms.